At this point, is there anything about Pink Moon that isn’t legendary? Age of artist: 23. Recorded in two nights. Voice and acoustic guitar, plus one small splash of piano. Not even a half hour long. Dropped off at the label’s office with barely a word. Sank like a proverbial stone upon release. Two years later, it was the artist’s turn. Then the pilgrimages to his home began, from listeners all over the world who’d connected with his songs. And then, two decades later, a show of hands in an ad agency office. All in favor of using the Church’s “Under the Milky Way” to score this car commercial? 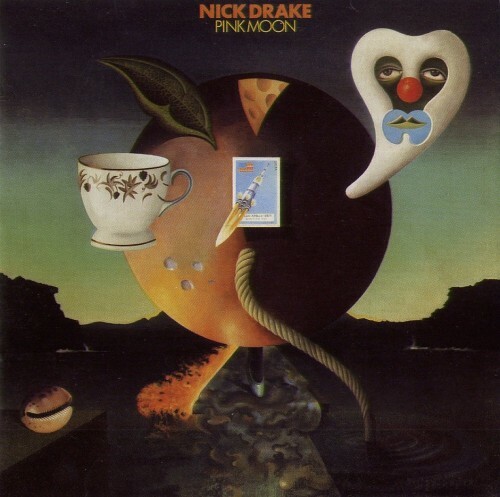 All in favor of Nick Drake’s “Pink Moon”? In the end, Nick Drake won (read more about the making of VW’s Cabrio ad from adman Shane Hutton in the comment section here), and in the very end, his work finally introduced to millions, he won again.